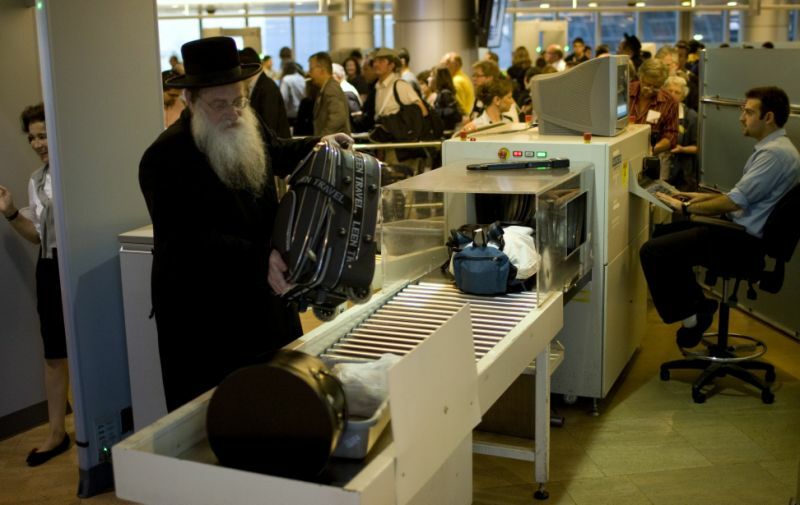 I never want to fly in Israel again because…. This is the last blog I will be posting about Israel (although tomorrow I have a sunrise photo from the Sea of Galilee as the “Photo of the Day”) and it is about my experiences of leave the country and crossing over to Jordan and then getting back in a week later. Yesterday I told you about exploring the shores of the Sea of Galilee and some of the sites of Jesus’s ministry. I concluded the post by saying I took a bus to Beit She’an and hitched a ride a couple miles to the border with Jordan. 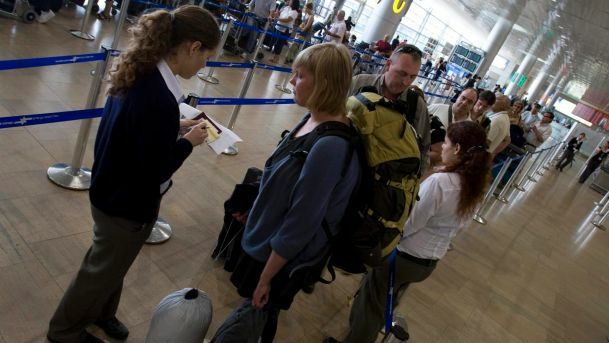 Once at the crossing I had to deal with some simple paperwork with the Israel agents and pay $40 as an exit fee. They allow you to pay in several different currencies or by credit card. Since I did not have enough Israeli shekels on me I gave him a US $100 bill and he changed the remainder into Jordan dollars for me. The reality is that I think I got an unfavorable rate this way, but what is done is done. Once on the Jordan side the process was quite simple. One note is that I would have had to pay a 40JD visa fee if I did not already have the Jordan Pass. This pass was great because it was the price of Petra plus it covered my visa fee and entrance into 25 or so museums and in my opinion it is well worth the time to get it in advance. During the time we waited for the bus to cross over I met Niomi who is a 26 year old from Spain that wants to be a war correspondent. We both had the idea of sharing a cab the 200 km to the capital, Amman, and we were both surprised when the driver only quoted us 34JD total. Sweet! I made it to my hotel in Amman around 6pm and I was to meet Melek, my friend from Turkey, at the airport at 2am…yuck on the early hour! We spent the week traveling down the country together, but before I start writing about Jordan (the home of Petra and a fantastic little country that deserves so much more tourism than it gets) I want to tell you about the issues I had once I returned to Israel. The last night in Jordan we spent in Aqaba at the very southern part of the country and on the Red Sea. It is right next to the Israeli city of Eilat, in fact these towns are so close they form one city with a clear line separating them. Since Melek did not have the visa Turks need for Israel she flew back to Turkey through Jordan, but when I was booking my flights a couple months ago I found it was half the price to fly from Eilat to Tel Aviv and from there to St Petersburg, Russia to meet my dad (trust me those stories are come in the future). I had zero issues getting back into Israel and arrived at the airport 3 hours ahead of time. I found out that in order to check in and get your boarding pass you first have to get a certificate from security. I though ok no problem and headed over there. The security guy was very polite and asked why I was there so early and then proceeded to ask me questions for over an hour and a half. They ended making me check my backpack, going through the entire bag (and not being able to get it all back in), took my boots and belt, scanned me, made me take off and scan my socks (dangerous wool??? ), and then had me drop my pants to check my zipper. By the time they were done two hours had passed and I knew I should have answered his first question with “because I needed the extra time as your grill me for no reason!”. Haha. I figure I spent twice the amount of time in security as I did on the fight itself. I scheduled two hours for a layover in Tel Aviv thinking that would be enough time since I was already past security and would have my backpack with me (it has been more than enough in other countries), but I was sorely mistaken. You see domestic flights come into terminal 1 and you have to ride a bus to the terminal you need for international flights. Plus, my flight got delayed and since I had to wait for my pack to come out after they took it, I had no chance of catching my flight (I think this is the first flight I have ever missed, darn it). The first thing I did was go to the airline for the flight I missed. They said I either had to pay $700 or wait 24 hours. Uggg. Turns out I found a very last minute flight for $295 direct and only got me into Russia 5 hours later than my dad expected. Yea!!! Now that I had my ticket and two and a half hours before my flight I started the security process again, which I admit I barely had the patience to deal with. The questions round was short this time, but he did ask me who packed my bag and was not amused when I replayed “your security guys in Eilat”. He simple asked “before that?” Hey you asked me a question and I answered it truthfully if slightly sarcastically (I know I am never like that at all 🙂 haha). After that I spent another hour as they went through my entire bag once again and pulled all my dirty clothes out. They finally said I could repack the backpack and seems annoyed when it took 10 minutes to undoing what they spent an hour ripping apart. The final thought from all this is while the Israeli security is polite the entire time I should have just flown out of Jordan (ended up being the same price since I had to buy the second ticket). I have absolutely no problem visiting Israel again and had a wonderful time there, but I will do everything I can to never fly within that country again. Just my thoughts!! Oh Shane, that’s awful. I’m so glad you got through it all and to your Dad finally.